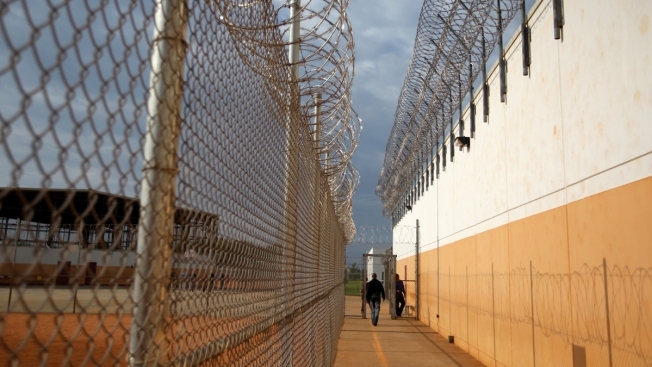 This undated file photo shows the Stewart Detention Center in Lumpkin, Ga.
A Mexican man being held by Immigration and Customs Enforcement since March was found dead in his cell in Georgia on Tuesday. Officials believe he died by suicide, NBC News reported. Forty-year old Efrain De La Rosa is the eighth person to die in ICE custody during the 2018 fiscal year, the agency said. He was found unresponsive in his cell at Stewart Detention Facility in Lumpkin, Georgia, at 10:38 p.m. In a Thursday statement, ICE said CPR was performed but he could not be revived, and he was transported to a hospital where he was pronounced dead at 11:29 p.m.
De La Rosa was first taken into custody by ICE on March 11 in North Carolina, following a conviction two days earlier for felony larceny. He was in the process of being removed from the country, the statement said.